Finally! 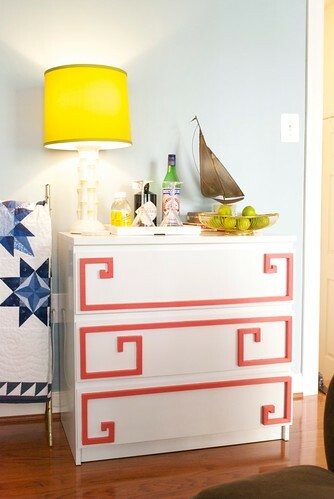 I have finished styling and photographing the Greek Key Dresser for you all to see! What do you guys think?? It's not exactly in the location I had intended it for, but we found a new purpose and location for it, so it all worked out in the end. My intentions for this dresser were met with major failure. Let me explain. The minute we had placed it where the foyer table was, it was pretty obvious it wasn't going to work there. Even though I took care to measure the dresser in the entryway, somehow it stuck out too much and was too short (in width) to replace the foyer table. 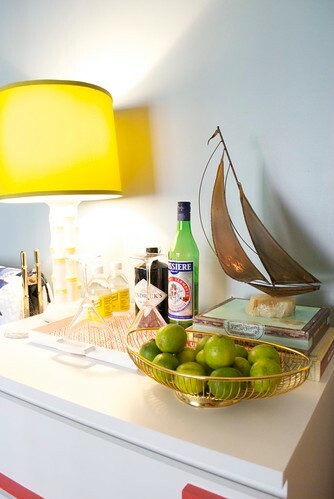 Turns out that there was an empty wall on our first floor that needed to be filled, so we figured: why not turn the dresser into a mini bar? So, now we have a piece that serves as a bar in our first floor and something really exciting to look at the minute you walk into our house. Nerd Alert: When Steve and I were trying to figure out what the best approach would be for sizing the Greek key in a way that is visually pleasing, Steve recalled that he had read something about a mathematical concept called the Fibonacci sequence that related back to nature, math, and the arts. It's too much to explain in detail here, but basically Steve suggested that we use the "golden ratio" - which can be derived from the Fibonacci sequence - as our guide to sizing the pieces of the Greek key in relation to one another. As you can see from the drawing below, each piece within the spiral pattern of the Greek key is approximately 1.6 times the size of the next smallest piece (the golden ratio is 1.618033....and goes on). 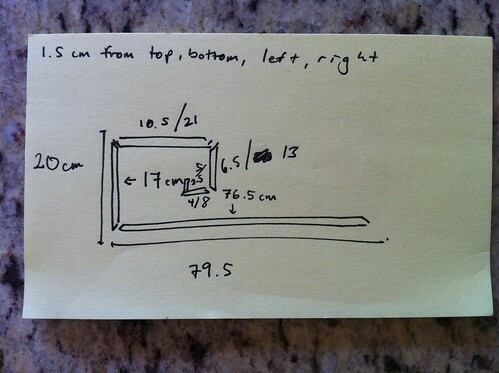 We used this approach for measuring out the pieces in the top and bottom sections of the dresser and then simply doubled the lengths of each piece for the middle section. And it worked! The result is quite visually pleasing I think. 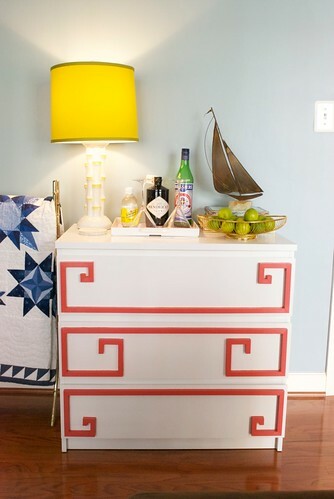 Then I topped the dresser off with a vintage white & yellow bamboo lamp (a steal from Goodwill at $14!) and some other vintage accessories from consignment shops and thrift stores. The overall style was to be functional yet glam and full of interest. How'd I do? wow! I love the red on white and that calm blue wall. Everything looks so fresh. @Kae - Thanks so much! I definitely wanted to add some freshness to the first floor since it was getting just a tad too traditional for me. I'm so glad you like it! In Accordance With unconfirmed reports, the iphone5 will sent to the U.S.
and selected countries on Sept. 21st. completely different. It is true that the headlights are aging they will corrode like everything else which is based on metal. Reading this information So i am happy to express that I have an incredibly good uncanny feeling I came upon just what I needed. the eggs you might be going to have hold of). You should have an excellence in salesmanship and service. - Put your words into action and show your team that you're a lifelong learner, recognize their skills and tell them whenever you have learned something from each of which. Hi! I've been reading your weblog for a while now and finally got the bravery to go ahead and give you a shout out from Lubbock Texas!